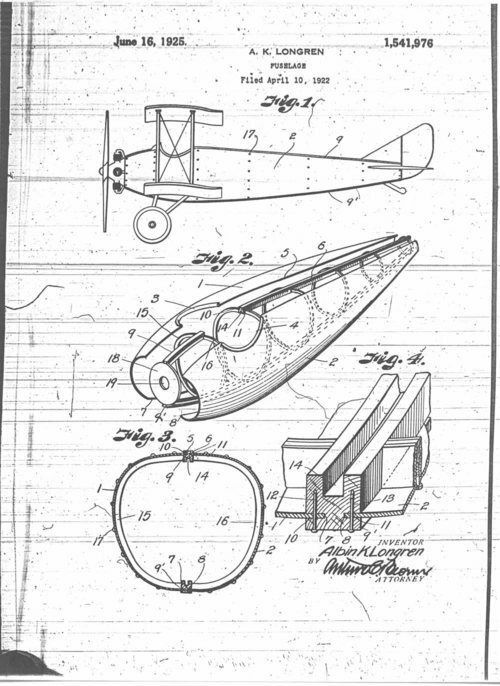 Longren's Fuselage patent can be used to help students understand the uniqueness of Longren's designs as they provide evidence that Longren was at the cutting edge of early aviation technology. In addition, the patent can be used to show students what a typical patent of the 1920s looked like. People - Notable Kansans - Longren, Albin K.